On Rogers? Using their Cable Modem to connect to the internet? Did your Bit Torrent traffic suddenly die? Rogers Cable is no longer a good service for downloading files from the internet. This is because Rogers has blocked/restricted/lowered the priority of Bit Torrent transfers in the last week or so, as a welcome home for the holidays for people like me who’s parents’ use Rogers. This is too bad as I just discovered DTV for internet TV and it downloads most of it’s files via Bit Torrent. Based on other’s experience posted at BroadBandReports.com’s forums Rogers has restricted Torrent traffic so they can reserve more bandwidth for their new home phone service. A search on Roger’s High Speed Internet Page yielded no results. What should you do if you are looking to purchase High Speed Internet for your new computer or you have something like Vonage or need to send file to or from work? Simple, contact your phone company about high speed internet. Rogers can no longer adequately provide this service. UPDATE: In some Torrent applications turning on encryption will get around this, but you must turn off non-encrypted connections. An ISP (maybe Rogers does this, maybe they don’t) can just restrict traffic to places like mininova.org. 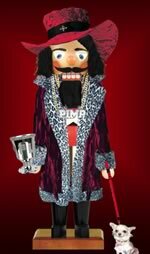 PimpMyNutCracker.com — for all your holiday pimping needs. We launched the University Teaching Podcast last week at work. As with many podcasts, production qualities are low, and they have this silly kid doing the intros, but we hope to grow on all fronts over time. On another podcastsing note, the CBC is conducting a survey on Podcasts. It took me 10 minutes and I ticked off ‘likely’ and ‘frequently’ on most options, but it might take you less time. I heard about this craigslist.com post on TWIT. It’s a very funny post by someone who had his motorcycle sparkplugs stolen for use as a crackpipe. But you couldn’t just let sleeping dogs lie, could you Crackhead. You couldn’t just stay in on Friday, watch Letterman through the window of a home electronics store and then call it a night. You couldn’t rest on your laurels. Two porcelain sparkplug crackpipes just wasn’t enough for you, was it Crackhead? You just had to come back for more. Here’s an Acura 1.7 EL that’s a lot like mine but with rims, wind guards and skirtting. I like the skirts and think it might be a nice addition to my EL, but I think the funniest part is this web page, created to sell the rims for this dressed up EL, is hosted at www.greenhavensc.com, Green Haven Sun Club. The Green Haven Sun Club is a Nudest/Naturist club. Dressed up cars for dressed down people. UPDATE: Want to compare this ^ EL to my car? 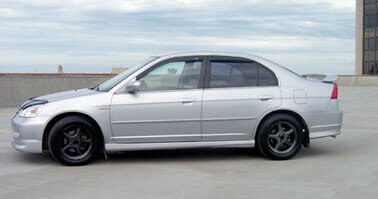 It’s now the picture for the Acura EL article on Wikipedia. You are currently browsing the iMatt :: The Blog of Matt Clare weblog archives for December, 2005 .